This is a crowd favorite. Lots of trophies are given away! classic cars, new vehicles, trucks. or join the show with your own beauty! Our record year was 2012 with 163 entries! 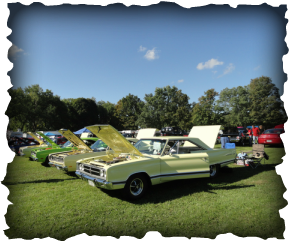 you will be asked to fill out the day of the Car Show. Waiver of Liability: I release and discharge the Canaseraga Fall Harvest Festival Car Show and anyone else connected with this show of any and all liability and damages from any cause whatsoever inclusive.